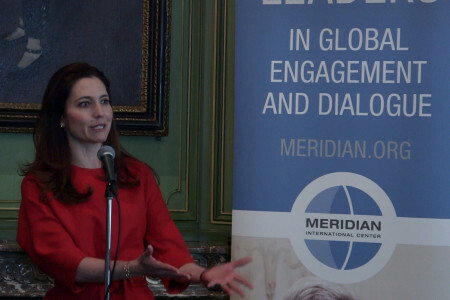 For more than 55 years, Meridian International Center has developed and implemented innovative exchange, cultural, education, and policy programs that prepare effective global leaders, including women entrepreneurs, to meet global challenges and opportunities. Meridian’s recently implemented leadership and exchange programs include International Visitor leaderships Programs (IVLPs) on “How Women Do Business: Starting and Growing Entrepreneurial Ventures” with six female entrepreneurs from Saudi Arabia, and the “Lower Mekong Initiative: Women’s Empowerment” program which brought seven entrepreneurs from Burma, Cambodia, Thailand, and Vietnam to Washington, Rochester, Cleveland, and Los Angeles to explore initiatives aimed at women’s economic empowerment. 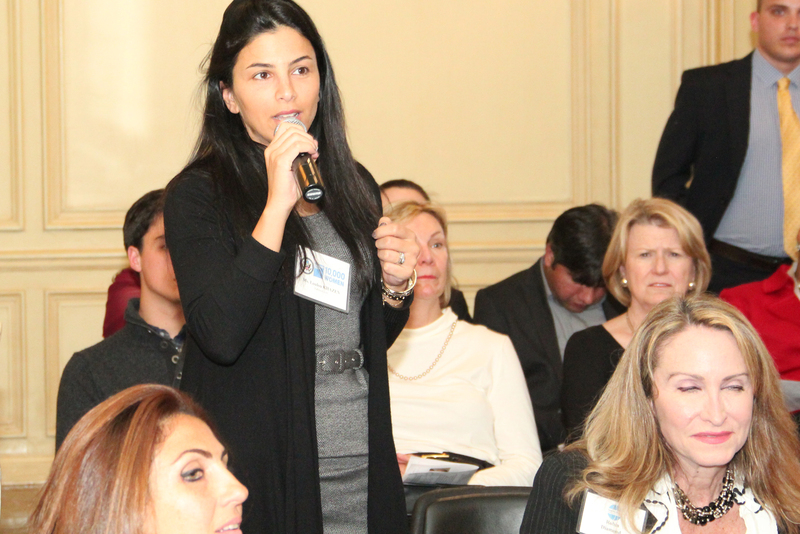 On March 3, 2016, Meridian opened The Goldman-Sachs 10,000 Women-U.S. Department of State Entrepreneurship Program for Women in the Middle East and North Africa. 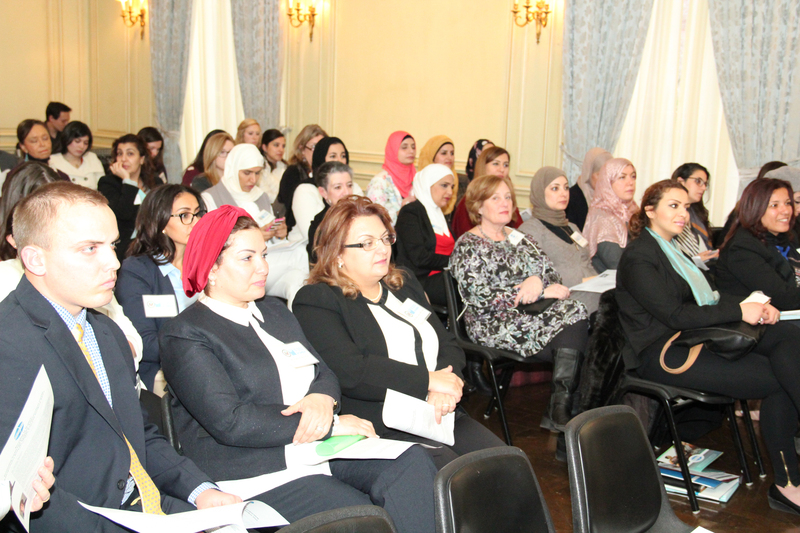 This year’s program brought women entrepreneurs engaged in the business, technology, media, and nonprofit sectors from the Middle East and Northern Africa to the U.S. for two-weeks of dialogue and exchanges on entrepreneurship, leadership training, mentoring, and networking. 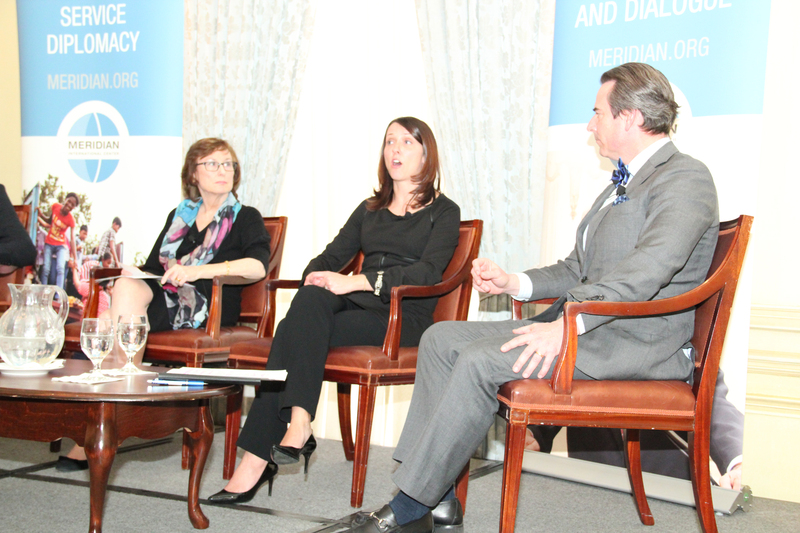 The program opening featured a dynamic luncheon discussion with remarks from Assistant Secretary of State for Educational and Cultural Affairs at the U.S. Department of State, Evan Ryan; Global Head of the Goldman Sachs 10,000 Women Program, Noa Meyer; and Meridian’s President and CEO, Ambassador Stuart Holliday. 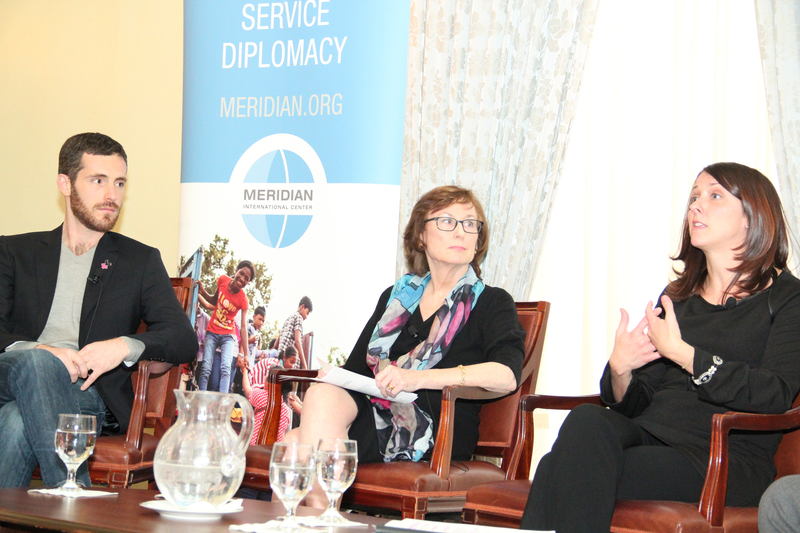 In her remarks, Assistant Secretary Ryan emphasized that entrepreneurship has an important place in foreign policy, and that women entrepreneurs play a critical role in the development and success of families, communities, and countries. 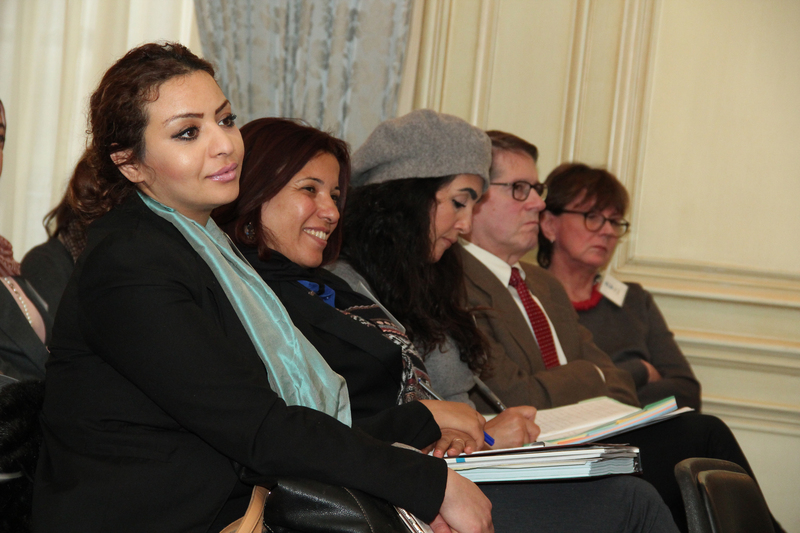 The luncheon discussion was followed by an entrepreneurship forum on “Investing in Women: Promoting Social and Economic Empowerment among Entrepreneurs from the Middle East and North Africa”. 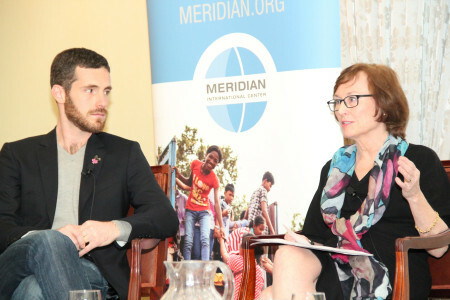 Panelists included leading entrepreneurship experts: Jonathan Beninson, Chief Strategy Officer, House of Genius; Laurel Kamen. Co-Founder, The Alloro Collection; and Tammy Mank Wincup, Chief Operating Officer, EverFi, Inc. Discussions were moderated by Ambassador Stuart Holliday, and centered on the risks associated with start-up businesses operating in highly-competitive business environments; the importance of understanding the dynamic needs and preferences of customers; and the need for entrepreneurs to maintain work-life balance.